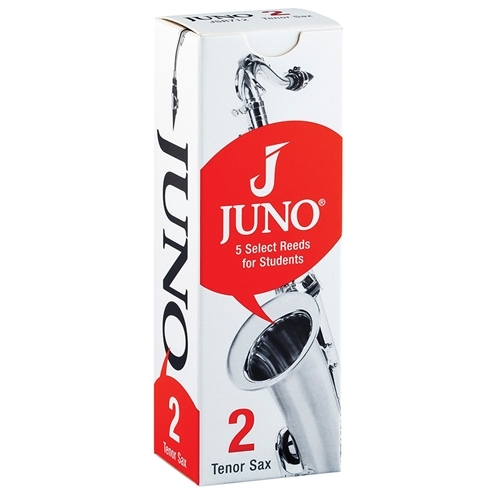 Juno Tenor Saxophone Reeds - No.3 (25 piece flow pack) A Vandoren Reed for Students and Beginners Juno reeds are specially made for student performance from select cane grown on the Mediterranean coast. When we turn that cane into reeds, we give them a special cut that’s extra responsive for students, so you can improve faster. Once the reeds are precisely cut, each one is sealed in its own humidity balanced Flow Pack where it waits just for you. That way, when you take a Juno reed out of the box, it feels and sounds as fresh as the day it was made.